Step 1: Understand the system. Before you even apply for a personal loan, you have to get to know the system first. Study your credit report and try to understand which factor has a negative impact on your credit score. Analyze why these factors exist, like if you missed payments or have some piled up debts. Remember, the sooner you can understand the credit system, the sooner you will be able to make educated decisions about your loans and your finances in general. Step 2: Clean up your credit report. * Pay off overdue bills. * Close unused and unnecessary accounts. * Pay off any amount of debt that you can. By raising your score, you have much better chances at landing a good deal on your personal loans. Step 3: Get that loan. Now that you know about the credit system and you have done what you can to make your credit report better, the next step is to get a good loan. Remember that when you apply for a loan, you should highlight any positive impacts you have been able to make on your credit history. Keep the future in mind when choosing your loan, because you want to make sure that you can pay off your loans and get a good credit score. You cannot fix your credit score overnight and easily convince lenders that your credit worthy. 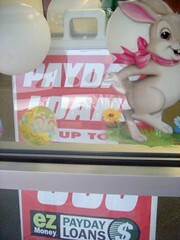 However, this doesn;t mean that you can no longer qualify for a loan. You can but most of the time, you get higher interest quotes because you’re considered to be a risky borrower. To score a better deal, highlight in your application good reasons for the bad credit history and the steps you’ve taken to eliminate debt.